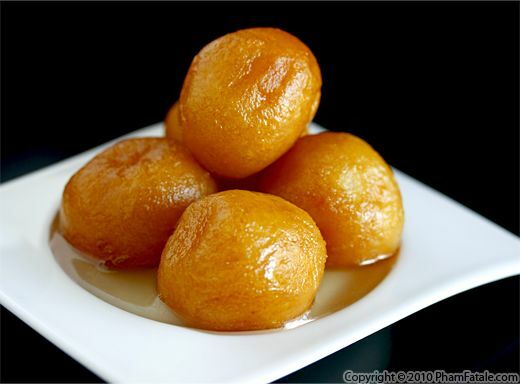 Gulab jamun is my husband Lulu's favorite Indian dessert. The sweets are deep-fried balls of dough, bathed in rose (gulab) and cardamom syrup. The texture resembles the liquor syrup-saturated French cake Baba au Rhum. I've just experienced making my own for the first time and it tasted pretty similar to the ones I've had in the past. I added a few saffron threads to impart a brighter yellow color to the syrup and I didn't add finely crushed pistachios as Lulu's great-aunt does, because of my little sister-in-law's nut allergy. You can eat them cold, but our favorite way to enjoy gulab jamun is to warm them a bit before serving. It adds another dimension to the dish. Gulab jamun is a bit too rich to eat on a regular basis, but it's perfect for special occasions when you want something more exotic than cake. I thought it would be nice to make a holiday cookie that captures the distinct flavor of rose. Rose, usually in the form of rose water, is often found in Indian and Middle Eastern desserts, but it's not commonly used in Western treats. 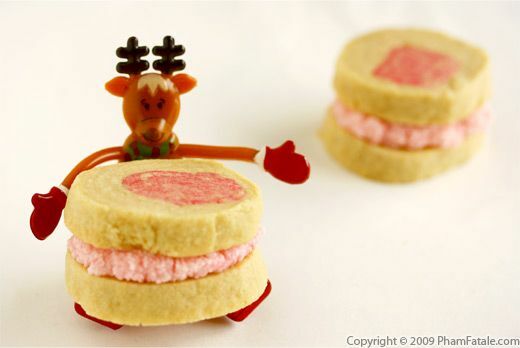 For this dessert I used rose paste, because it adds a pleasing pink color to the cookies. I also added some rose to the cream filling as well. I love making desserts like this for the holiday season because you can prepare several logs ahead of time and store them in the freezer for later use. That allows me to spend more time with visiting friends and family instead of being stuck in the kitchen. "How much do you love Lulu?" Lulu always asks. "Thiiiiiiiiis much", our munchkin says and opens her arms, just as the reindeers does. I've featured sharbat (the South Asian equivalent of the Western chocolate milk for kids) in the past. The key ingredient in sharbat is a product called Rooh Afza, which is a syrup made of flower petals such as Gulab (Rose), coriander seeds, kewra and watermelon extract. It literally translates to "that which tempts your soul". 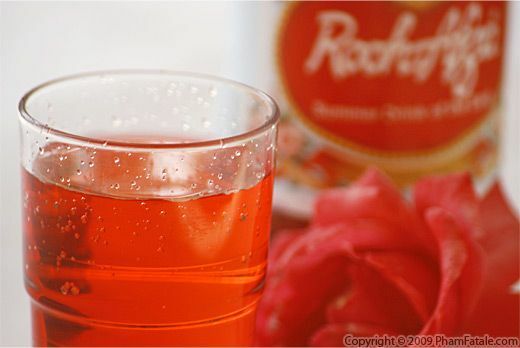 Rooh Afza is fairly versatile and is used in many other drinks and desserts. 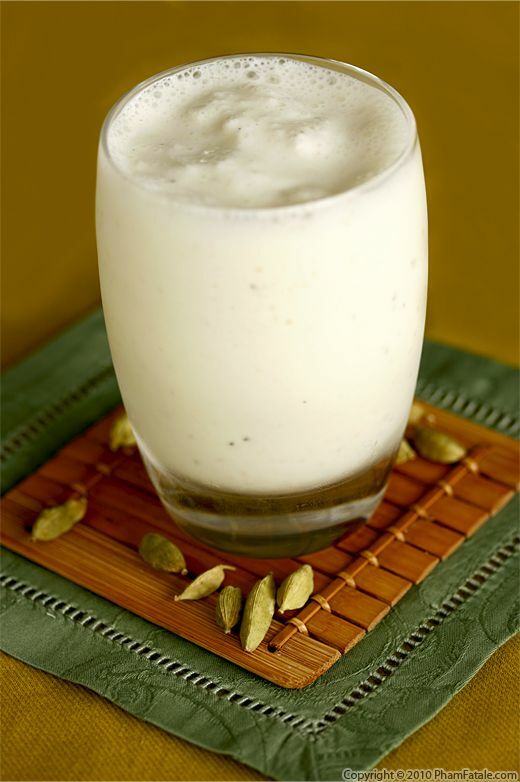 One such recipe is similar to sharbat, but without the milk and nuts. I often make this drink when I need to cool off a bit. It's very refreshing and light.